Samos is a Greek island in the eastern Aegean Sea, south of Chios, north of Patmos and the Dodecanese, and off the coast of Asia Minor, from which it is separated by the 1.6-kilometre-wide Mycale Strait. 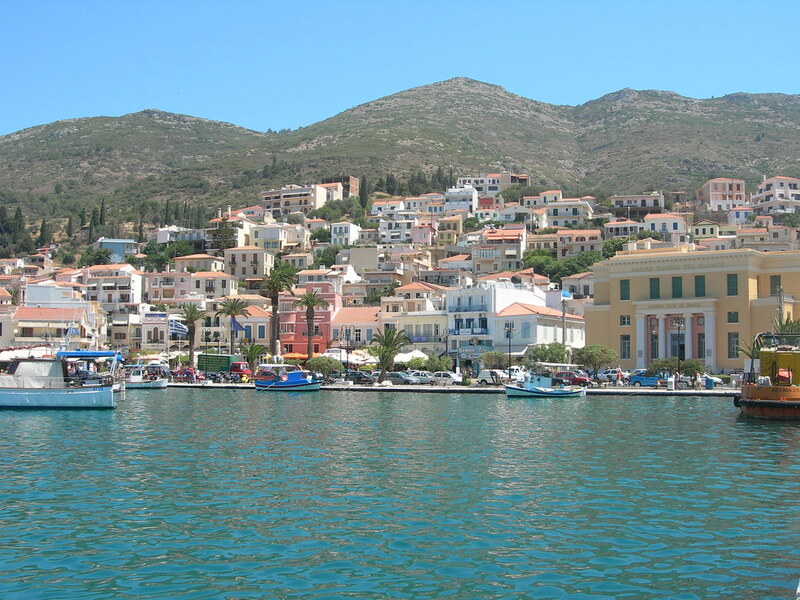 It is also a separate regional unit of the North Aegean region, and the only municipality of the regional unit. The area of the island is 477.395 km2, and it is 43 km long and 13 km wide. It is separated from Anatolia by the approximately 1-mile-wide Mycale Strait. While largely mountainous, Samos has several relatively large and fertile plains. Samos' relief is dominated by two large mountains, Ampelos and Kerkis. The Ampelos massif is the larger of the two and occupies the center of the island, rising to 1,095 metres. Mt. Kerkis, though smaller in area is the taller of the two and its summit is the island's highest point, at 1,434 metres. The mountains are a continuation of the Mycale range on the Anatolian mainland. The blue markers shows the location of various accommodations in Samos. The letter in the marker describes the accommodation types: H for Hotel, A for Apartment, R for Resort, B for Bed & Breakfast and O for Other (e.g. pension, villa). Click on the blue marker for more information on the accommodation.